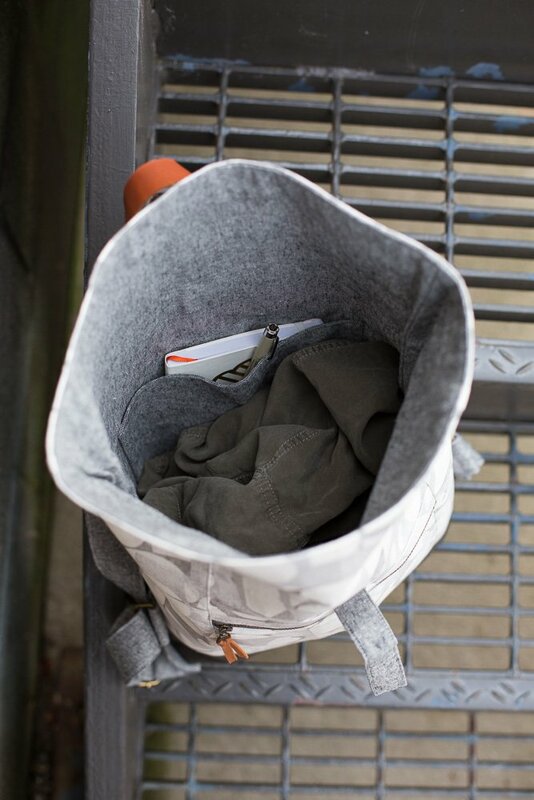 The Range Backpack by Noodlehead is a useful and fun backpack to make! It’s great for any outing where you need to be hands free! The foldover top and closure keep things secure, while the front zippered pocket keeps essentials within easy reach. Adjustable straps make it wearable in any season. Recommended Fabrics: Waxed canvas (10-12 oz. weight), cork fabric, cotton canvas, cotton/linen canvas, denim for exterior and contrast bottom fabrics (quilting cotton may be substituted for exterior fabric requirement, add ½ yard of 6-9 oz. weight 44”-wide cotton canvas/duckcloth for stabilizer and an 18” square of low-loft cotton batting). Quilting cotton for lining fabric.